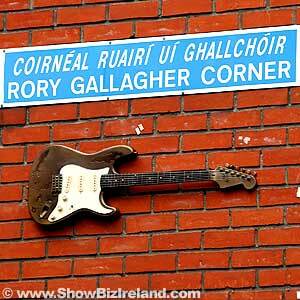 Perched up high under the Rory Gallagher Corner sign the sculpture is well out of reach of anyone who fancies strumming on the to-scale replica (unless a group of drunken revelers form a human pyramid!). 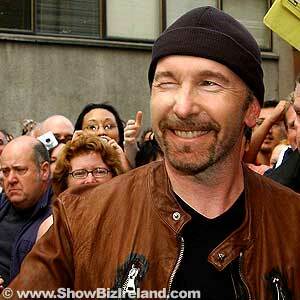 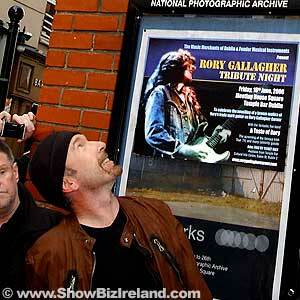 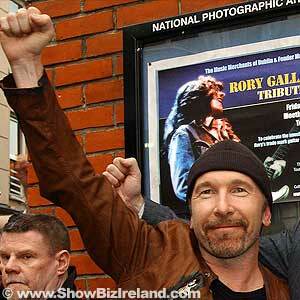 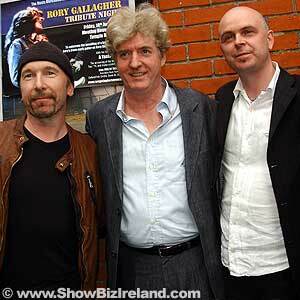 The Edge unveiled the sculpture with the help of Rory's brother Donal Gallagher, Dermot McLaughlin and Dublin Lord Mayor Catherine Byrne. 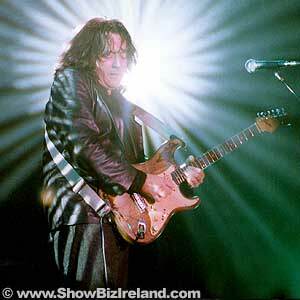 Rory Gallagher died of Liver failure in London in 1995 at the age of 47 but he will always be remembered as the man who brought the Electric guitar to prominence in Ireland inspiring bands like U2 and Thin Lizzy.